1) You’re still donned in glitter, makeup, fabric and plaster, and that’s just your left elbow. Hallo’Tween is known for the cleverly clad, raunchily robed and gruesomely garbed costumes. 2) You woke up singing songs from the Brett Forman Band’s set list. 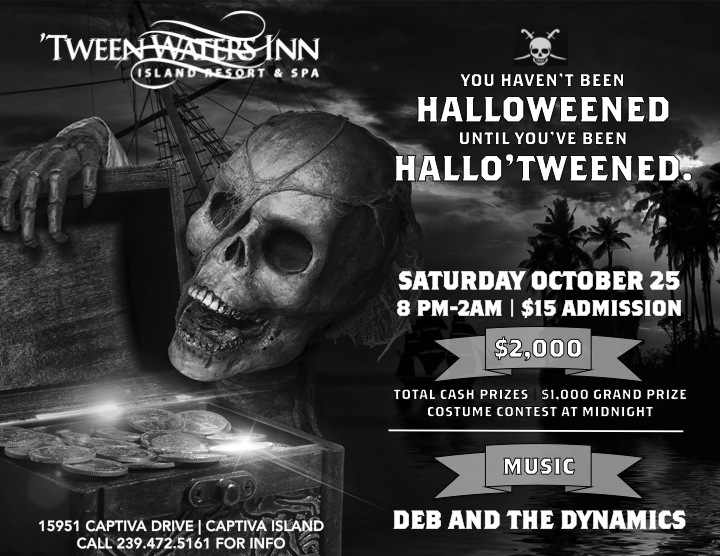 Recent years’ tradition has the Brett Forman Band returning to the Hallo’Tween bash to get partygoers up and dancing all night long (or 8PM to 2PM to be specific). Innsider Tip: Make your reservation ASAP to spend the weekend. After a night of spooktacular fun, you won’t want to drive home, and right now, if you enjoy two nights Halloween weekend, you’ll receive the multi-night package rate from $165 per night in a poolside guestroom — a $50 savings! 6) You’re still facedown in your hotel pillow. You booked your hotel room in advance and got a great deal on a Bayside studio, and with check out at noon, you’re still hitting the zzz’s hard. 7) Your phone camera roll looks like it was on the set of The Hangover. You might have gone a little crazy with the camera this year, snapping photos of strangers dressed in everything from Ken Bone to a bath pouf. Hey, what’s that tiger doing in your photos? !